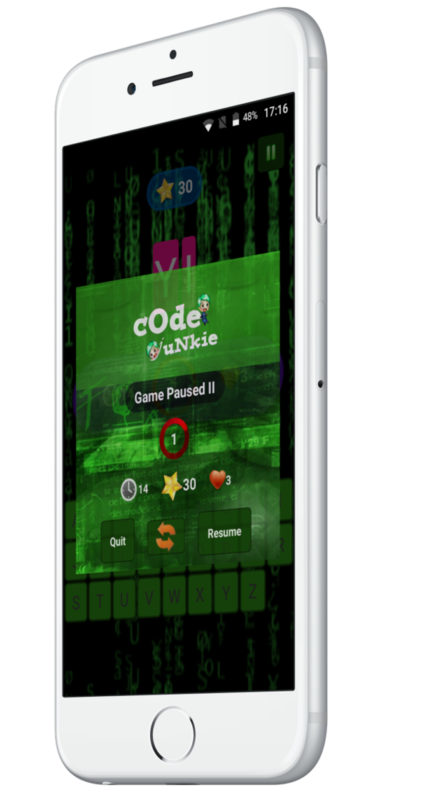 CodeJunkie – Thrilling Word Typing Game – Gamification of education at it’s peak. Learn new words while having fun. ...For everybody looking to improve their vocabulary OR bored, and looking for a thrilling game to play to pass time. Dive into different worlds and explore beyond, words you know and never knew existed. You no longer need your dictionary to learn a word a day. Play some game. Learn commonly misspelled and sophisticated words. Improve concentration and focus. No need to Meditate no more. 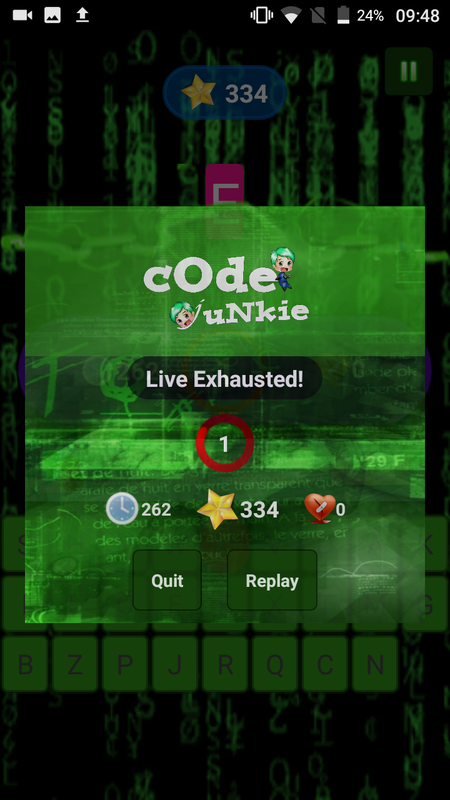 Accumulate some Time Juice and continue ranking up your scores. Educate yourself while having fun OR Have fun while you unconsciously get educated. Whichever works for you buddy! Word typing based game. The aim of the game is to try to beat the game, by staying alive and accumulating points. The higher your score, the tougher the game play. The initial timer starts at 25 seconds by default. Your aim is to earn as many points and as much time juice which will keep you going unto the next phases; this is achieved through keying in the right words. If you run out of time, some time juice will be added to the timer. 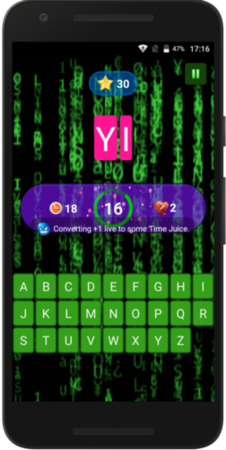 If you run out of time juice when the timer counts down to 1 and still have some lives, +1 of your lives will be converted to some time juice. You have 5 lifespans to start with, as you keep on playing you earn more lives based on your workload. Your workload is calculated based on the amount of work done; in other words, phases completed successfully. Workload is the green bar on top of the game status display unit. Once it fills up, +1 will be added to your lifespan. Your game progress and points are automatically saved, so you don’t have to worry about losing your points or having to start afresh. Few seconds of time collected. When game timer runs out, some Time Juice will be converted into Time. Allowed number of wrong inputs before game ends. Rewarded based on phase difficulty completed. Rewarded when the right letter in a displayed keyword is inputted. 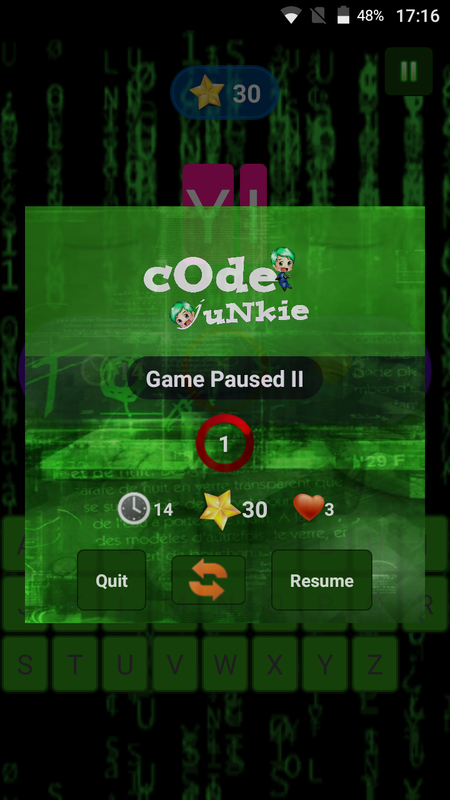 On each game phase, you are required to key in the displayed keywords. The keywords and your input keyboard will sometimes move, change in transparency, size and colour. 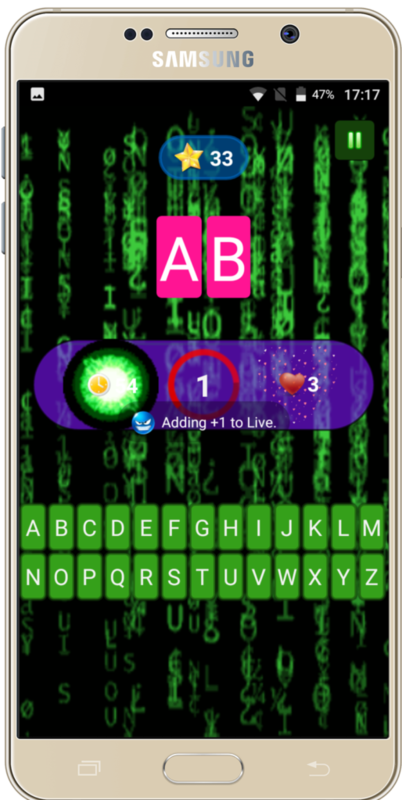 All these effects will create a gripping sensation which should leave even the more advanced word game player feeling challenged. Do you think you have quick reflex or impulse and your photographic memory is top notch? Well let's put that to test. Have some brilliant ideas on how to improve the game or want to make a similar game? Don’t be shy, Say Hello! © 2017 Cosesano. 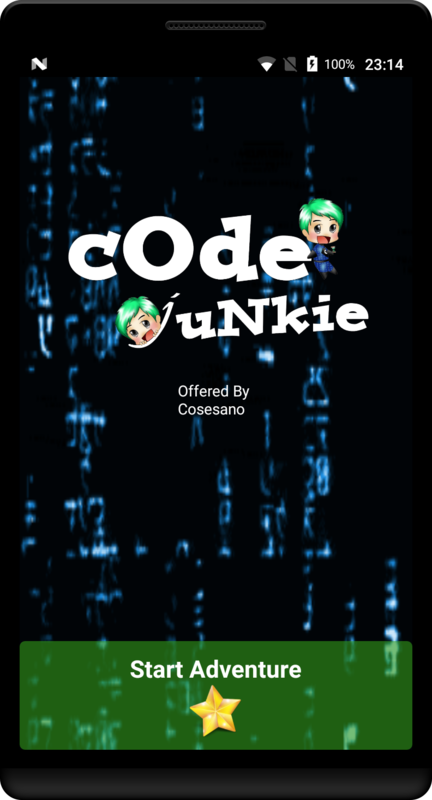 The "CodeJunkie" and related marks are trade marks of Cosesano.